Demilitarize McGill member Isaac Stethem described the study to The Daily in an interview. “Essentially, what the military seems to be interested in finding out is how young Somali Canadians feel about groups such as al-Shabaab, which the Canadian state views as a terrorist organization; there were also questions about Muslim identity, how strong their Canadian versus Muslim identity was,” said Stethem. “Nowhere in any of the documentation […] they gave to participants did they say either that the purpose of the study was to provide information to the military on sympathy for what they termed ‘non-state actors,’ nor did they actually disclose that the military was funding it,” added Stethem. Stethem argued that the failure to disclose the funder and the full purpose of the research, even in the debriefing documentation given to participants after they completed the survey, is a violation of the Tri-Council Policy Statement, which governs research ethics in Canada. Michael Wohl, professor of psychology at Carleton and lead investigator in the study, argued that the purpose of the research was presented accurately to the participants. “They [DRDC] are interested in a broad spectrum of issues, one of them being how different groups adjust to being in Canada,” added Wohl. Stethem, however, held that Wohl’s comparison was faulty. “Of course, one can never predict every possible application of a study, but in this case it very clearly did have planned uses and applications that were known beforehand,” said Stethem. Taylor, who was a co-investigator on the study, did not return The Daily’s request for comment. Shelley Brown, chair of Carleton’s Psychology Ethics Board, which approved the study, conceded that the requirement to disclose the identity of the funder of the research is present in the Tri-Council Policy Statement. However, she noted that the requirement can be waived at the discretion of the ethics board if the researcher provides a rationale. In an email to The Daily, Research Ethics Officer Lynda McNeil confirmed that McGill operates in the same manner. 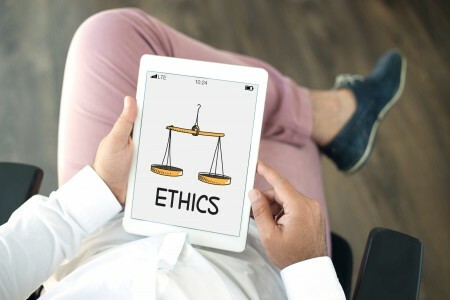 “It is then up to the REB [Research Ethics Board] to consider, for each specific project, whether all elements listed, such as the identity of the funder, are necessary to the consent process of a specific project,” wrote McNeil. In response, Stethem argued that the fact that confidentiality was protected was not a sufficient rationale to waive the requirement to disclose the funder. As a group that fights military research at the university, Demilitarize McGill has focused its work in the past on research in science and engineering with military applications in foreign wars, such as the development of drones and explosives. However, the study on Somali Canadians shows that the scope of military research at McGill extends beyond these technologies, Demilitarize McGill member Kevin Paul explained in an email to The Daily. “Dr. Taylor’s work shows that military research at McGill not only supports the development of missiles and drones used to kill people in distant wars and occupations, but also augments the capacities of military and intelligence to surveil and control domestic populations, particularly those non-white groups that the Canadian state deems inherently threatening,” said Paul. Echoing Paul’s sentiments, Stethem spoke to the broader role of university research in perpetuating systems of oppression and social control.